A wedding is an auspicious occasion in which there are so many close friends and relatives invited to come and give blessings to the couple. However, a wedding would be incomplete if you don’t serve good food for the celebration. Hiring a wedding buffet catering company will solve your problem related to the food. You can’t just hire any caterer to serve hundreds of guests at such an important occasion. Proper planning is necessary to make sure that everything ends on a good note. A wedding catering company will plan and organize some delicious cuisine for your guest and make sure that everyone likes the quality, type, and variety of food being served. 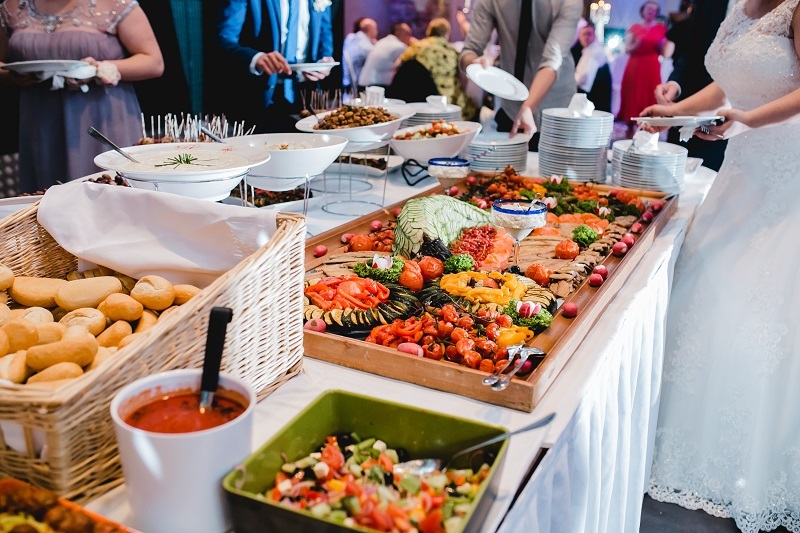 In this article, we have given a few tips that can help you hire the best wedding buffet catering company in your locality. The first and foremost thing to consider while planning to hire a wedding catering service is to make a budget for it. Catering costs are different from one caterer to the other. So, you need to discuss everything with the prospective caterer and ask for a price quote well in advance. 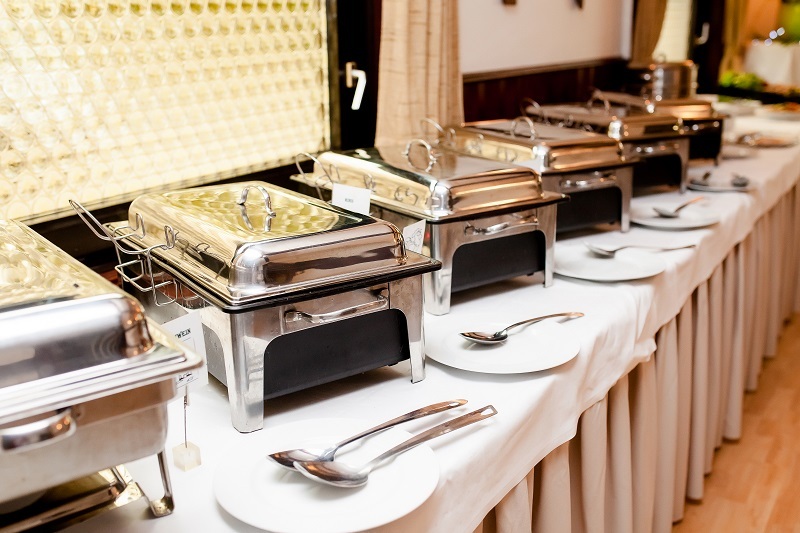 Depending on the number of guests and a variety of food items, the catering provider will give you a price quotation. Ask such quotations from a number of services providers and choose the one that offers maximum variety in the least possible cost. But don’t forget to check the quality as well. You can get recommendations from your neighbors, relatives, colleagues and family members about a catering company that satisfied them. By getting referrals, you can get a fair idea about the taste and quality of their food. Don’t hesitate to taste their food before finally hiring a wedding buffet catering company. They will surely offer you a sample of their food if you ask them. If you are satisfied with their quality, ask for their quotation and hire them even if that means paying a little extra. A wedding is a one-time affair, and the food served in it speaks a lot about your choice of class and quality. You should not waste your time and book as soon as possible fix the date of the wedding, because the best quality wedding buffet catering companies will not be available in peak seasons due to high rush. But you need to make sure that the caterer does not have multiple bookings on the same date, as they may not be able to allow proper time for your wedding function or may compromise with the quality of food and service. So, it is recommended to book them in advance and make sure that they don’t take bookings beyond their capacity. You should ask and clear everything that comes into your mind because leaving anything in confusion can cost you big. You should read all their terms and conditions carefully so that you don’t regret it later. You should book only if you are ok with their payment schedules, cancellation policies, and other conditions. Make sure that their price quotation does not include any hidden charges or unreasonable penalties. Don’t forget to ask about other things required at the event, including table decoration, desserts, serving men etc. You should not keep anything in doubt and ask them anything you want, because you are paying them, and it is their duty to organize everything as per your expectations. A wedding buffet catering company that does not give you satisfactory replies is not worth hiring. After reading this article, you must have understood how to hire the best catering service to serve at your wedding celebration. Feel free to talk to them and let them know your expectations. A Wedding is a memorable event, and you should never compromise on the quality of food being served in it. Take help of referrals from your acquaintances if you need. Garlic bread is one good side dish that can make mealtime an exciting event. The fan base of garlic bread is so strong that the whole congregation in lunch table would ask for one more piece, if not more. Be it a pickled garlic bread or a baked one, garlic bread is always delicious in every form. To make or break your wedding party or any other event, the selection of catering service provider plays a really important role. When the food served at your party is good, guests feel satisfied and enjoy the party really well. Everyone wants to have a great party so that people can praise them and their status in society can remain maintained. There are several Mediterranean restaurants that serve authentic Mediterranean dishes but when you aren’t well verse with the choices, picking the best delicacy from the menu can be intimidating. Cumin is an ancient spice for its distinctive flavor and aroma which has been in use for thousands of years in many cultures and culinary. It is used in traditional medicine and has many health and beauty benefits. It plays an important role in the home and herbal remedies. In any event, the food of which you serve your guests is paramount to the overall success of the meal. Being an integral part of the catering aspect, it is only natural for prospective clients to be a little meticulous when it comes to selecting their potential caterers. Pineapple, by many, is a standout amongst the most delightful natural products accessible and for all the correct reasons. It is a significant adaptable organic product since it can be utilised as a part of a wide assortment of dishes, from treats to pizza and for softening the meat. There is diversity in every aspect of India. Be it language, culture, tradition or food, there is an essence of diversity everywhere.